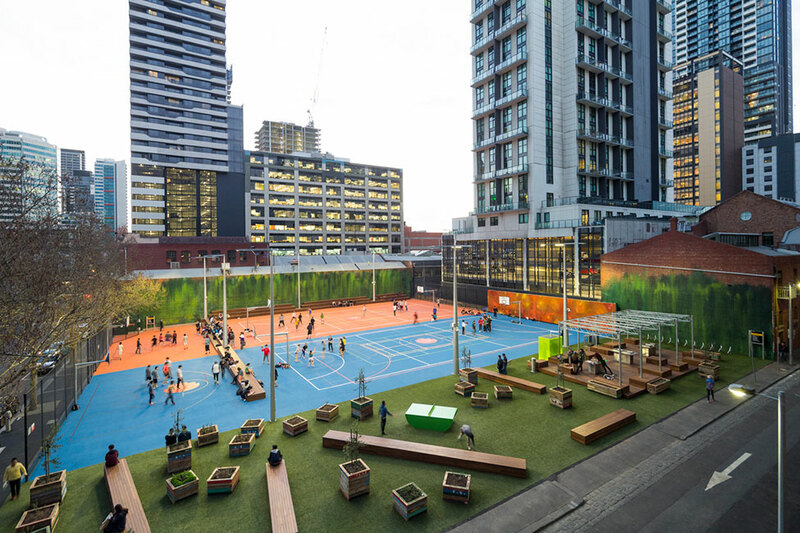 In 2013, RMIT University and Peter Elliott Architecture and Urban Design collaborated to transform an underutilized parking lot in Melbourne, Australia. 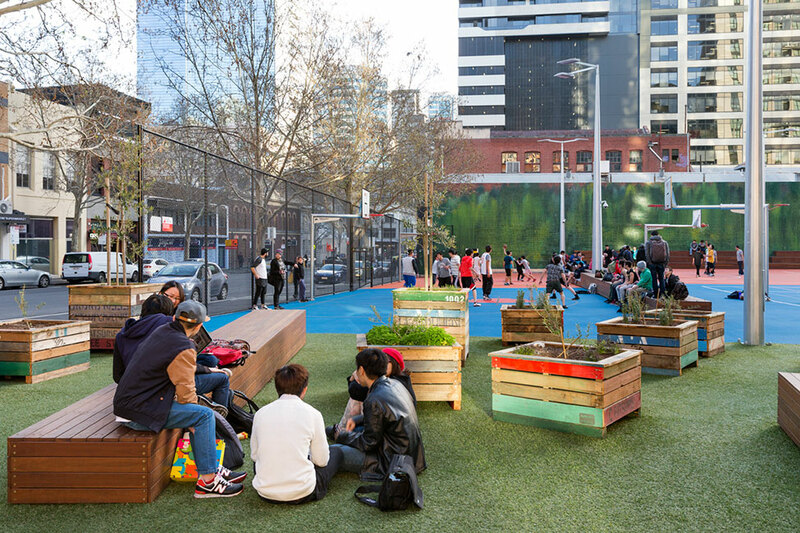 The image of a pop-up park usually calls to mind a small area of land, such as a repurposed alleyway or a few parking spaces; this project’s collaborators were dealing with a 30,000 square foot piece of land that they activated with a pop-up park called A’beckett Urban Square. 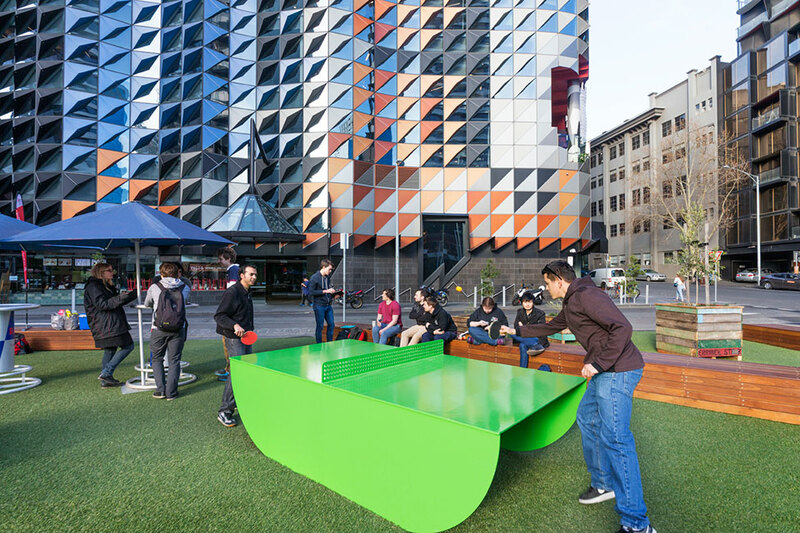 Completed in 2014, the space includes brightly colored multi-use sports courts, ping-pong tables, BBQs, bike parking, and Wi-Fi access. In a large section covered in astroturf, the space features large planters, benches, tables, and a convertible stage. 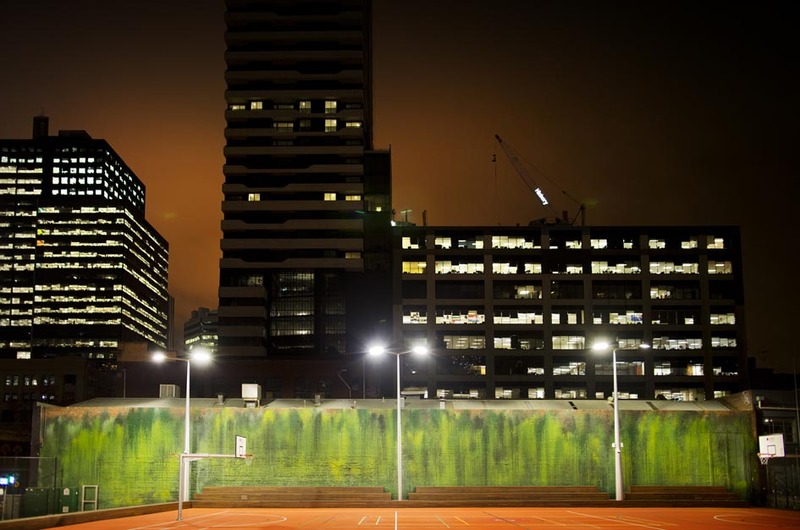 As a cheaper alternative to trees, the collaborators commissioned an urban jungle mural by artist Ash Keating flanking two sides of the pop-up park. 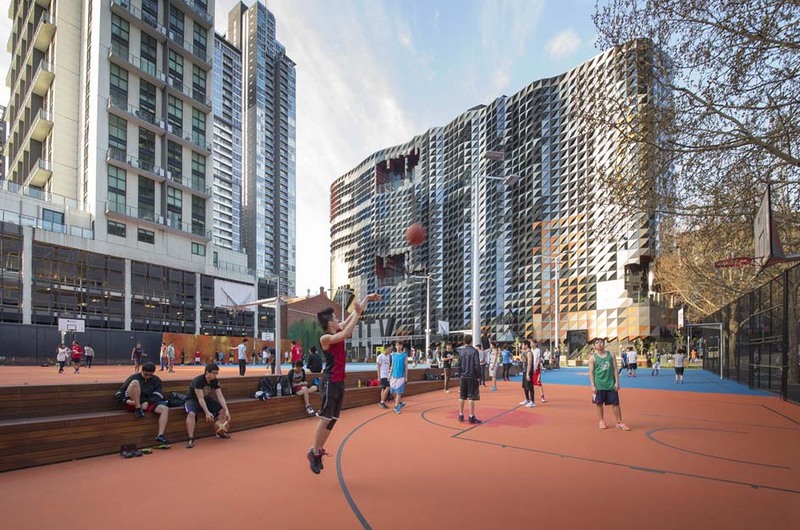 In total, the park cost $709,773 USD–a price loftier than most pop-up park projects but much cheaper than traditional park developments. Still in use today, the square remains immensely popular with students and local residents alike. 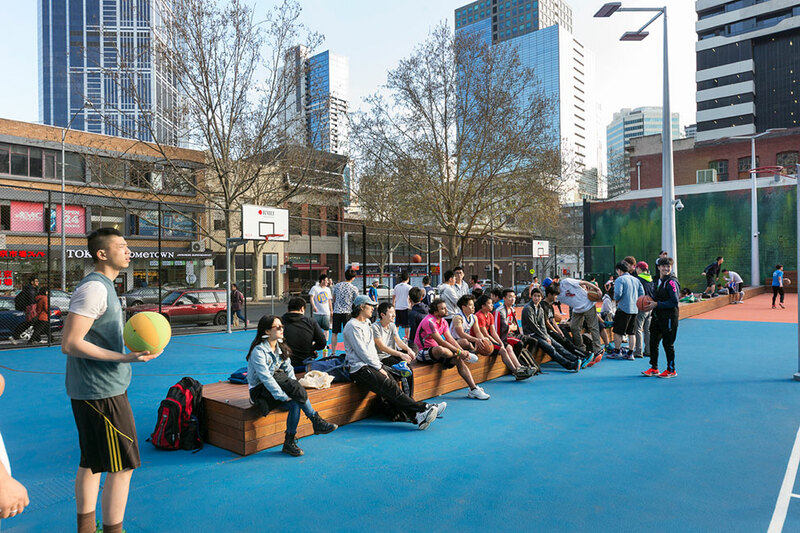 While not as light as most LQCs, the square maximizes materials such as wood and astroturf, as well as simple amenities such as planters, benches, and tables. The square cost $709,773 USD.